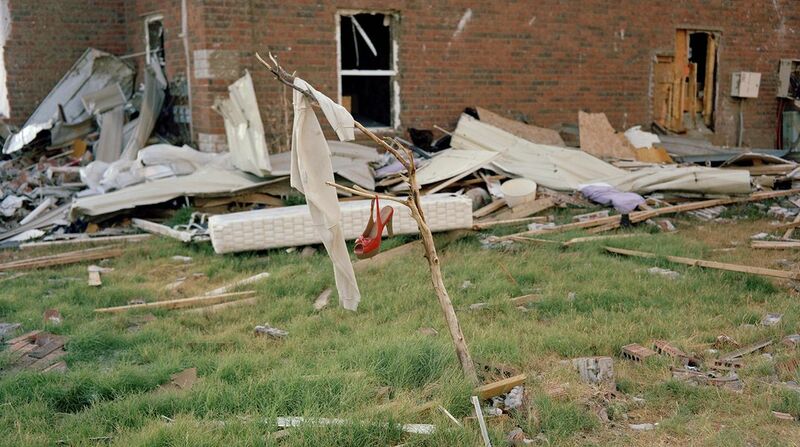 I came upon this image while searching through the wreckage of the Plaza Apartments in Joplin, Missouri the week following the tornado. From a distance, the bright red shoe looked as if it were suspended in mid-air. Date Uploaded: Jan. 16, 2012, 5:42 p.m.